Versatile, Rugged and Functional OxCart Trailer Delivers Time and Effort Saving Value. Time. You wish you had more of it. More time to hunt. More time to do the things you enjoy. But, you have responsibilities. 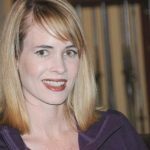 Work and family require a lot from you, and your yard and hunting land aren’t going to maintain themselves. So, a product designed to help save you time to maintain your yard, hunting property and farm? Well, that’s worth checking out. 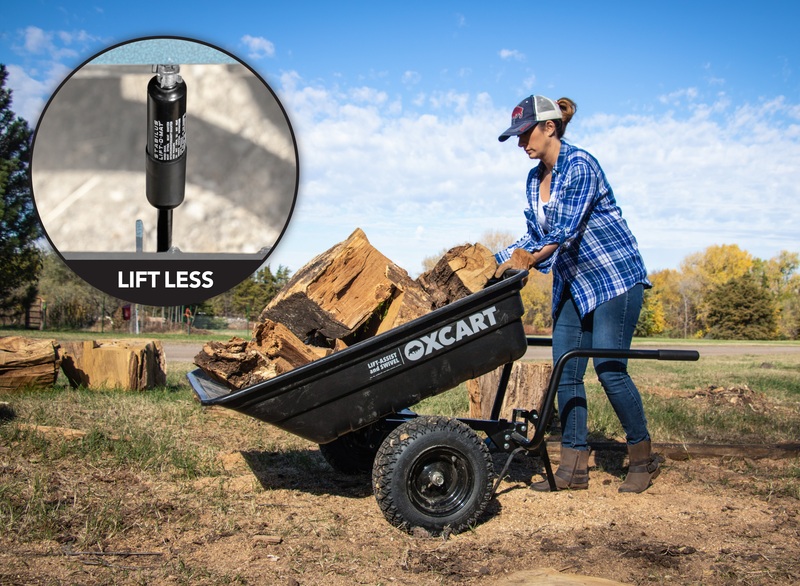 The OxCart utility cart offers time-saving capabilities making life better for hunters, farmers, ranchers and, well, basically anyone who maintains a property. You see, the OxCart is not your typical ATV utility trailer. It’s designed to make hauling and unloading large loads 90-percent easier than standard carts. Not to mention, it reduces physical strain, allowing you to get more done in half the time and with much less effort so you can focus on the fun and not the work. So, what gives the OxCart its time-saving qualities? The OxCart combines a rear offset dump pivot point for greater control with a hydraulic-assisted tub lift for easier heavy-load handling. The swivel feature reduces backing, allowing you to control dump wherever you want. Commercial-grade durability with an all-square-tube construction, full mandrel bent NASCAR-designed axle support and tractor-grade tires make this the first cart you can load to the max and move twice as much in half the time without straining your back. Use it at home or hunt camp to haul anything. 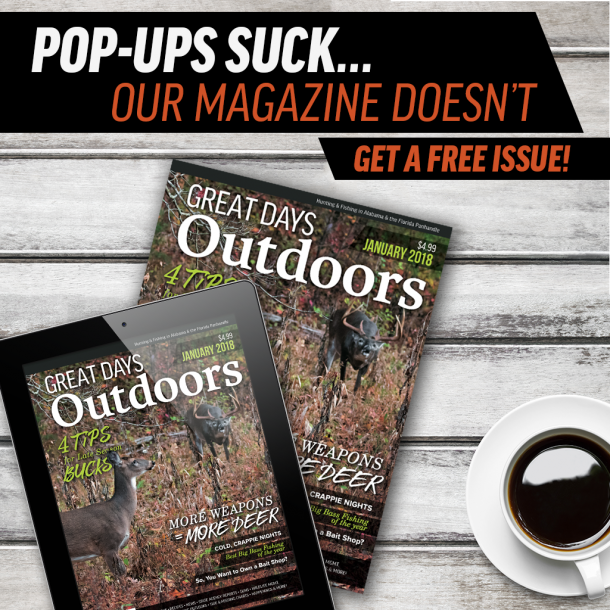 It’s ideal for toting treestands or hunting gear. It’s also great for filling feeders, maintaining food plots and fences, cleaning barns and moving firewood. In addition, you can hook the utility cart to your ATV and haul out heavier loads, such as a deer once you experience success. To get a better idea of how the OxCart is much better than any ATV utility trailer, consider that most utility trailers are designed with a formed metal frame and a center dump pivot point that cause them to dump like teeter-totters. When the bed is filled with heavy items, you must lift most of the weight to dump the cart, risking back or leg injury. You often have to step away as the load shifts and the tub slams to the ground. Thankfully, the OxCart’s smart design eliminates these problems so you can lift much heavier loads and transport and dump them more quickly with less pain and strain. The OxCart’s pro-grade performance, innovative design, and exclusive features make it the first tow-behind dump utility cart that you can fill to the max knowing it can hold, move, lift, position and dump the heaviest loads with ease. This impressive cart is load-tested to 1100 pounds, so you can fill it up and make fewer trips. The powder-coated hammered finish stands up to all that Mother Nature can dish out. Tractor-grade multi-terrain 4-ply tires with run-flat technology are designed with a liquid polymer that self-seals most punctures instantly before losing any air – an important feature when working in rugged terrain. Commercial-grade graphoil bushings and grease zerks extend the wheel life. The Oxcart attaches to any mower, ZTR or ATV with a pin-hole hitch. Couplers mount easily for 1 7/8- and 2-inch ball hitches. When it comes to versatility, the OxCart is unmatched thanks to the conversion kit accessory that turns it into a farm cart/wheelbarrow in seconds for use in livestock care, land maintenance and hunting prep. So, you see, the OxCart is far more than just an ATV utility trailer. It is also your answer to more time afield with friends and family. The OxCart is are available at Theisen’s, Runnings, Orscheln Farm & Home, Ace Hardware, Do It Best, Big R Stores, Amazon.com, Tractor Supply Co, and available for free shipping at RuralKing.com, Power Equipment Direct.com, and Costco.com. Now available in Canada at TSC Stores and soon PeaveyMart!